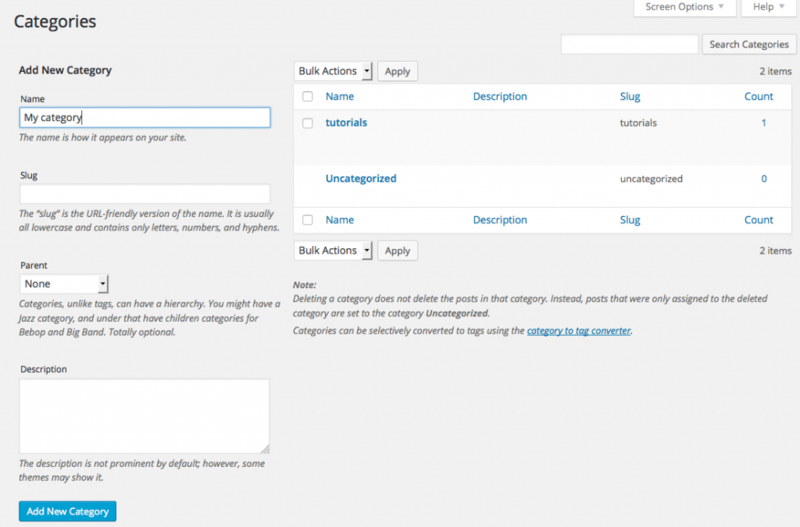 WordPress categories are a way to organize your posts. In addition to that, one post can reside in more than one category. This gives you a lot of flexibility to show exactly the posts you want, exactly the way you want them– in widgets, menus or directly in your WordPress theme. Categories are also a way to allow readers to find and sort information. Themes and sites display categories in different places depending on your site functionality and design. If you’re a KMDD client, you will have received directions, or a tutorial, on where and how categories for your site are displayed. Login to your Dashboard and access- Posts>Categories. On the left side of the page you will see a tab that allows you to create categories. Fill in the category name, you can leave the slug empty– it will automatically fill. 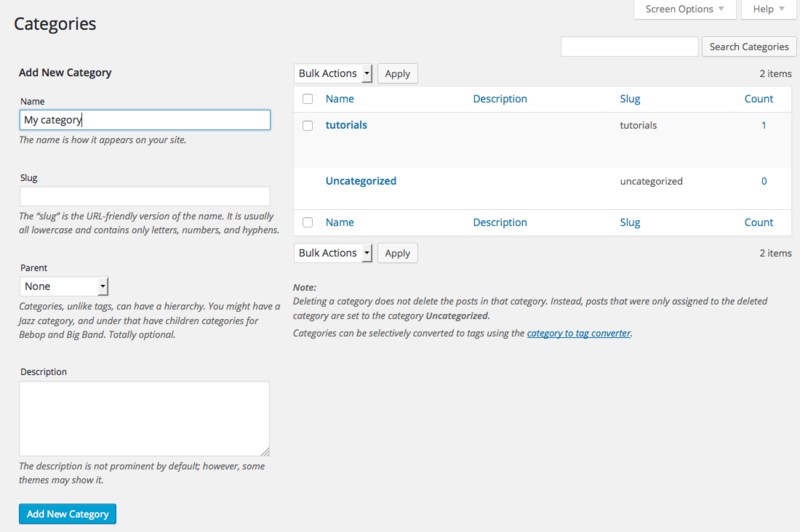 If your site has (or plans to have) a lot of categories, it will help to have add a category description. Click the Add New Category button. That’s it, your first category is ready. Check out this post on WPBeginner to learn how to add sub-categories. Once you have the category structure created, you can add posts to categories. There are two ways you can do this. The first one is to open a particular post (or write a new one) and click the correct category checkbox (lower right side of the editor window). The second way is to bulk add posts to a category. To do this go to Posts>All Posts. Next, select the posts you want to add to a category, click on the Bulk Actions tab, select Edit, choose your category, and click Apply. If your post does not appear on your site.